Prior to establishing WTJ Law, Mandy was an attorney with McCormick Barstow LLP for nearly 14 years. During her career, Mandy has represented plaintiffs and defendants in all phases of litigation and tried cases in both state court and private arbitrations, as well as medical staff privileging and administrative matters. Mandy’s practice focuses on healthcare and professional malpractice, law firm counseling and ethics, construction disputes, business litigation and public entity representation. She has counseled public entities concerning the Brown Act and Public Record Requests. Mandy is also certified as a specialist in Legal Malpractice Law by the State Bar of California Board of Legal Specialization and regularly acts as a fee dispute arbitrator for the local bar association. Outside of work, Mandy enjoys spending time with her husband and her young kids, including going to the beach, spending time at the lake, riding bikes, and watching movies. Mandy loves baking, cooking, indoor cycling, and TRX—on most mornings, you can find her at the gym. Mandy is admitted to practice before all California State Courts and U.S. District Courts of California. Mandy is AV® Preeminent™ Peer Review Rated with Martindale-Hubbell. 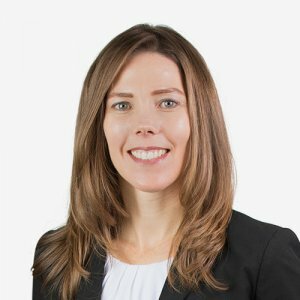 She was selected for inclusion in the Northern California Super Lawyers list (2015-2019) and previously was included in the Northern California Rising Stars list (2009-2014) for her primary area of practice in Business Litigation. She has also been recognized as one of the top Woman Lawyers in Northern California for her primary area of practice in Business Litigation. Mandy is a member of the State Bar of California (Litigation Law Section), Fresno County Bar Association, Federal Bar Association, American Bar Association, National Association of Women Lawyers, and Association of Business Trial Lawyers. She is also a member of the Association of Business Trial Lawyers San Joaquin Valley Chapter Board of Directors, and a previous board member for the Fresno Business Council. Mandy’s experience concentrates on business and civil litigation in the State and Federal Courts with an emphasis on complex matters involving healthcare law, medical staff privileging and administrative matters, public entity counsel and defense, construction, fraud, business torts, and unfair competition. Mandy is a former member of the Board of Directors of the Leukemia & Lymphoma Society, Central California Chapter, and is proud to participate in the Light the Night charity event each year. Mandy is also a former member of the Infant of Prague Board of Directors, where she served as Secretary. “How to Get Your Social Media, Email and Text Evidence Admitted (and Keep Theirs Out),” National Business Institute seminar, Fresno, CA, June 2016. “Ethical and Practical Considerations for the Probate Lawyer,” Kern County Bar Association, Probate Section, Bakersfield, CA, May 2016. “The Attorney-Client Privilege in the 21st Century,” Fresno Paralegal Association, The “E” Conference, Fresno, CA, March 2016. “ACT – Anticipate, Coming Trouble.” California Employer Lawyers Association, Webinar, March 2017. “The Ultimate guide to Evidence” which I created the material for and presented at in Fresno for the National Business Institute, National Business Institute seminar, Fresno, CA, June 2017. “Admitting and keeping out evidence: social media, text and email”, Northern California Society of Defense counsel, Fresno, CA, June 2017. “Because you asked.” Lawyers Mutual Insurance Company, Burbank, CA, July 2018. “31st Annual bankruptcy Institute: Preventing malpractice.” Eastern District Bankruptcy Institute, Fresno, CA, September 2017 counsel from San Diego. In attendance were BK practitioners, “Preventing malpractice,” Stanislaus County Estate Planning Council, Modesto, CA, October 2017. “Navigating the new rules of professional conduct: what lawyers need to know to protect themselves and their clients.” Fresno Bar Association, Ag Law Section, November 2018; Merced Bar Association, February 2019; Mariposa Bar Association, February 2019.